U.S. Sen. Tammy Duckworth (D-Ill.) speaks at an event. On Wednesday, Duckworth released a statement condemning Attorney General Jeff Sessions’ announcement that he will oppose a Chicago police department decree that could reform the department. U.S. Sen. Tammy Duckworth (D-Ill.) on Wednesday condemned Attorney General Jeff Sessions’ announcement that he will oppose a decree to reform the Chicago Police Department. The decree followed a 200 page report by the Department of Justice, which investigated CPD after the shooting of Laquan McDonald in 2016. McDonald was shot by a white police officer, Jason Van Dyke, who was convicted of second-degree murder on Friday. Sessions filed a “statement of interest” announcing that the Justice Department would oppose the decree. Although the statement is not a legal document, it establishes the Trump Administration’s stance on the issue. 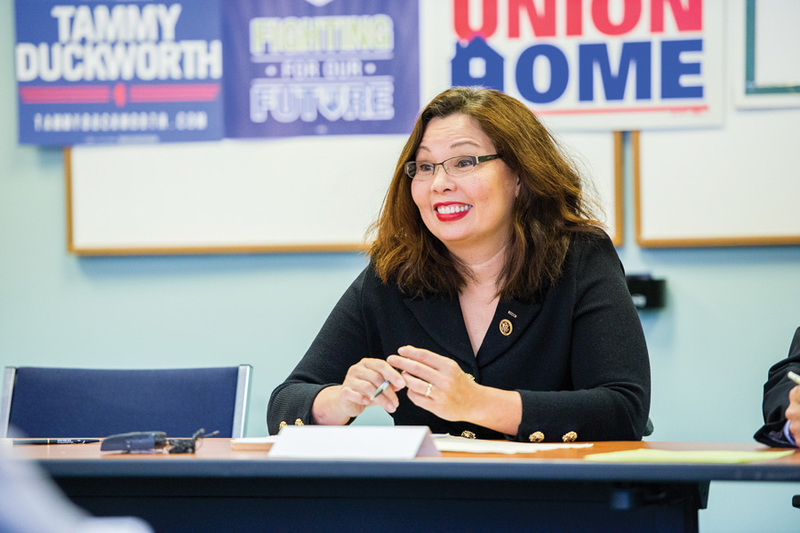 “(It) is yet another item in a long list of counterproductive efforts from an Administration that seems more focused on pandering to its base with hateful policies than actually reducing crime and improving police relations with the communities they serve,” Duckworth said.